Fish Oil for Stroke Recovery: Does It Help? Fish oil for stroke recovery – Is it a fishy story? If you’ve been researching vitamins for stroke recovery, you probably came across fish oil for stroke recovery. But is there any science to back up those claims? We’re here to settle the score once and for all. What Do the Studies Say about Fish Oil for Stroke Recovery? Yes, there are some studies that link fish oil to stroke recovery – so it’s not a false claim. However, the brain-boosting nutrient found within fish oil that should be getting most of the attention is DHA, or docosahexaenoic acid. Now, there are many, many studies linking DHA to brain health, brain development, and brain protection during stroke. So, the star of the show should be DHA, not fish oil. Wait, so DHA or Fish Oil for Stroke Recovery? DHA can be found in a limited number of strange dietary sources, like algae, organ meat (i.e. liver), fatty fish, and fish oil. Now, it requires a certain palette in order to enjoy algae and organ meat, so this could explain why most of the attention goes to fish oil for stroke recovery. 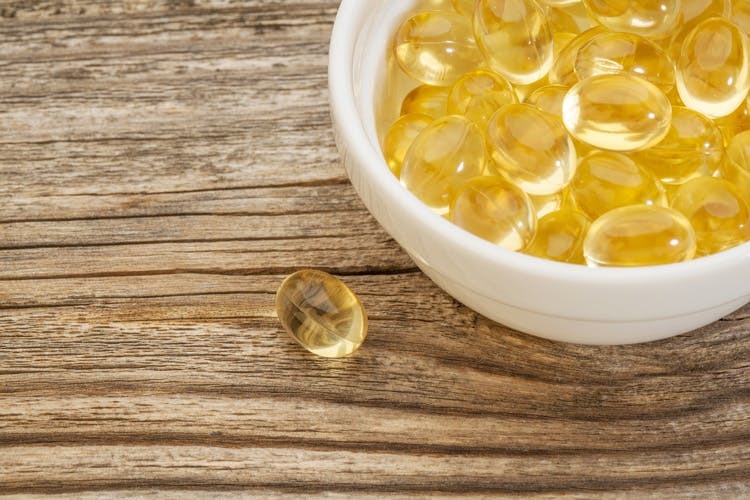 Is Fish Better than Fish Oil? Now that we know why fish oil gets so much more attention than the other dietary sources of DHA, let’s discuss the benefits of choosing fish over fish oil. This article on fish vs fish oil supplements makes a great point: Eating actual fish provides much more health benefits than taking a fish oil supplement. While fish oil contains higher levels of DHA than fish, your body absorbs the DHA from fish much better than it does from the supplement. Fish also contains other vitamins and minerals that fish oil supplements don’t provide – so opt for fish over fish oil when you can. Now that the score has been settled… Fish tacos anyone? Newer Inflammation and Stroke: What’s the Link?